The National Highway Traffic Safety Administration (NHTSA) has confirmed the 11th U.S. fatality tied to faulty Takata airbag inflators. The victim, a 50-year-old woman, died from injuries she sustained when she crashed her 2001 Honda Civic in Riverside County, Calif., on September 30. The agency has not released the name of the victim, but the vehicle she was driving was among a list of 2001-2003 Honda and Acura models that were at “substantially higher risk” of having the metal canister in the airbag rupture, which leads to shrapnel being spewed into the vehicle when the airbag deploys. The vehicle was initially recalled in 2008, but records showed that the recall repair never took place. The vehicles on that high-risk list include the 2001-2002 Honda Civic, 2001-2002 Honda Accord, 2002-2003 Acura 3.2TL, 2002 Honda CR-V, 2002 Honda Odyssey, 2003 Acura 3.2CL, and the 2003 Honda Pilot. The entire recall extends far beyond just those models, though; in fact, it is definitively the largest auto recall in U.S. history. More than 69 million inflators have been recalled in the U.S. alone, and 100 million have been recalled worldwide. The latest fatality comes little more than six months after the 10th victim lost her life. 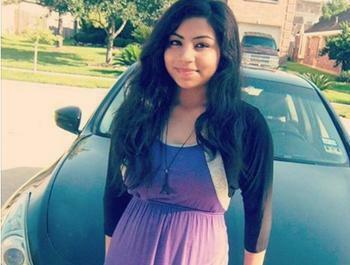 Seventeen-year-old Huma Hanif was rear-ended while driving outside of Houston in her Honda Civic. Police stated that vehicle had only taken moderate damage in the accident, but Hanif died due to a piece of shrapnel that became embedded in her neck when the airbag deployed. The Department of Transportation has continued to urge consumers to not drive their vehicle if it falls under the recall, unless it is to directly to a dealer to have the problem fixed. You can visit SaferCar.gov to check the recall status of your vehicle. However, as we recently reported, some owners who have tried to get their vehicles repaired have been unable to because dealers simply don’t have the parts to do the job. ConsumerAffairs reporter Amy Martyn recently called a Ford Dealership in Dallas to see if she would be able to have her fictional 2010 Ford Edge repaired. It seems to be a common problem throughout parts of the country, and it puts consumers in a very tough position. Either they can stop driving their vehicles and try desperately to get replacement parts for a hazardous product, or they can keep driving them and hope to avoid any kind of incident that would have the airbag deploy. Unfortunately, as we’ve seen almost a dozen times in this country, choosing the latter can have fatal implications.